Derby manager Frank Lampard insists he would love to have his old Chelsea team-mate John Terry at the club but says they cannot afford him. Terry is currently a free agent after leaving Aston Villa at the end of last season, although he recently turned down a move to Spartak Moscow. Chelsea head coach Maurizio Sarri has also revealed he has held talks with Terry over a possible coaching role and Lampard has now clarified his position regarding his former Chelsea and England colleague. "John's a great player, a great person. He would be great for any club," said Lampard, who accepted an FA charge of improper conduct on Monday after he was shown a red card as County lost 1-0 at Rotherham. "What I had to do when I came here is prioritise in where we want to move. "We had to sell the top goalscorer in the league [Matej Vydra]. I say, 'we had to sell', we sold him to make room and make changes in general, to bring in more options going forward in attacking areas. "We had to do that, so we have to refill those goals. Then you have to look at what you've got. I've got Curtis Davies here, Richie Keogh, who made his 300th appearance. Frank Lampard has accepted a charge of improper conduct by the FA following his red card in Derby County's 1-0 defeat to Rotherham on Saturday. "I brought in (Fikayo) Tomori as we need some youth to help us there. It simply was a door that wasn't really open. We had to cut the wage bill. "So listen, I'll say it again because I don't want it to look like it's not a choice of John Terry - I would take John Terry all day, every day. "But we have to think about wage bill, the players we've got and the priority of the squad. It's as simple as that. "John will be brilliant at whatever he does. The choices should be and will be his now, when you're a legend of the game and work so hard, he can play on, do media, he can manage, and he'll do it very well." 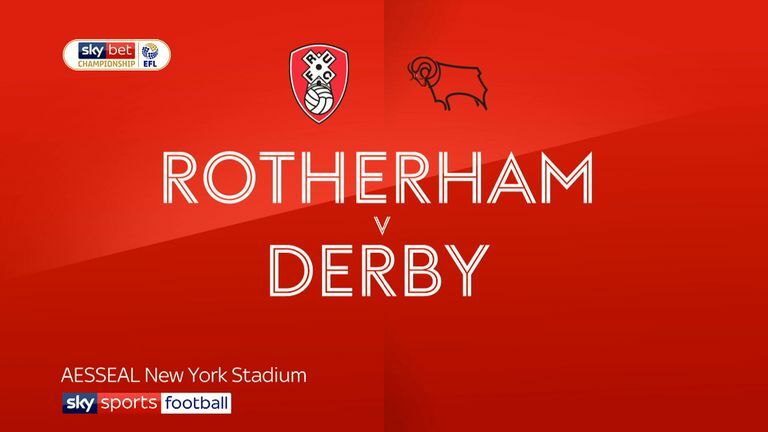 You can watch all the midweek games in the Sky Bet Championship - including Derby v Blackburn - on Sky Sports Football via the Red Button this week.